I work at the New Beverly Cinema in Los Angeles, California. We are a repertory double feature house that opened in 1978. We screen films from every decade of cinema - from silents to foreign, independents, art house to contemporary. Films that make-up the glorious history of the art, that should be viewed as they were meant to be - in a theater with fellow film lovers, projected from film. We only show films on 35mm. 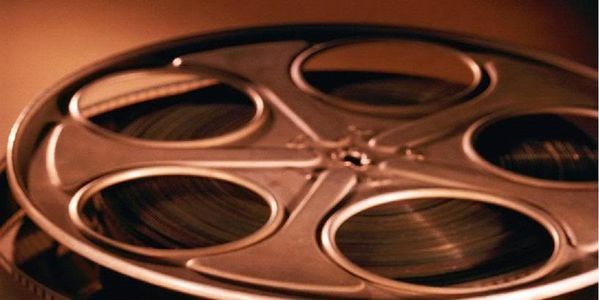 The major film studios have decided that they eventually want to stop renting all archival 35mm film prints entirely because there are so few revival houses left, and because digital is cheap and the cost of storing and shipping prints is high. I firmly believe that when you go out to the cinema, the film should be shown in 35mm. At the New Beverly, we have never been about making money - a double feature ticket costs only $8. We are passionate about cinema and film lovers. We still use a reel to reel projection system, and our projectionists care dearly about film, checking each print carefully before it screens and monitoring the film as it runs to ensure the best projection possible. With digital screenings, the projectionists will become obsolete and the film will be run by ushers pushing a button - they don't ever have to even enter the theater. The human touch will be entirely taken away. The New Beverly Cinema tries our hardest to be a timeless establishment that represents the best that the art of cinema has to offer. We want to remain a haven where true film lovers can watch a film as it was meant to be seen - in 35mm. Revival houses perform an undeniable service to movie watchers - a chance to watch films with an audience that would otherwise only be available for home viewing. Film is meant to be a communal experience, and nothing can surpass watching a film with a receptive audience, in a cinema, projected from a film print. I feel very strongly about this issue and cannot stand idly by and let digital projection destroy the art that I live for. As one voice I cannot change the future, but hopefully if enough film lovers speak up, we can prove to the studios that repertory cinema is important and that we want 35mm to remain available to screen. Please sign this petition and forward it to any cinephiles you know. Let's fight for 35mm! We the undersigned feel that 35mm is an invaluable medium and want your film prints to remain available to screen in revival houses around the country. We do not feel that repertory cinemas should be forced to convert to digital projection, but should be able to continue to rent films from your archives to be shown in the form they were intended. We do not want film prints to be destroyed because of lack or cost of storage space. Cinema is history, and one of the most important arts that man has created. Please consider the cultural significance of 35mm film, and don't take it away from the cinephiles to whom it means so much.